Samvedna Institute for Special Children came into existence on March 1, 2003. 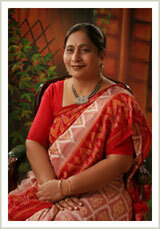 Its founder, Mrs.Bhutani, had always empathized with the urgent need for parents of children with special needs. Having experienced difficulty in rehabilitating one of her relatives with similar problems, she was acutely aware of the lack of facilitites available for persons with disabilities. Parents and other relatives were made to run from pillar to post to identify the condition, understand its associated problems and to get a recommendation on the therapy required, however actual services remained absent. Her experience also made her come face to face with the fact that many times parents were misguided and remianed in turmoil regarding the condition of their child. She decided to start an Institute which would provide all facilities under one roof. With support of many specialist the foundation of Samvedna Institute for Special Children was laid in 2003. It provides rehabilitation for all types of disabilities for all age groups.